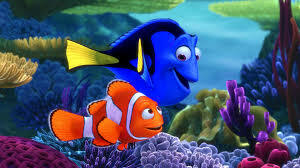 but the underwater garden, l’orto di Nemo. Comprised of three “biospheres”, l’orto di Nemo is an experimental project, led by Mr. Gamberini (yes, there is a shrimp pun in there somewhere), operated in the Noli bay in Italy, 70 km west of Genova. 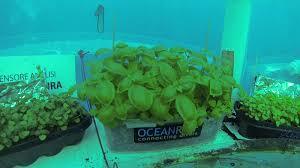 So far Mr. Gamberini has only been growing basil beneath the sea, in the hope that he can eventually revolutionize crop production in arid coastal areas around the world. Personally, I am not a fan of basil. I find its taste pungent and quite bitter. But I suppose that, if the alleged soapy taste of coriander aka cilantro is linked to genetic variants, I have only my deviant genes to blame. 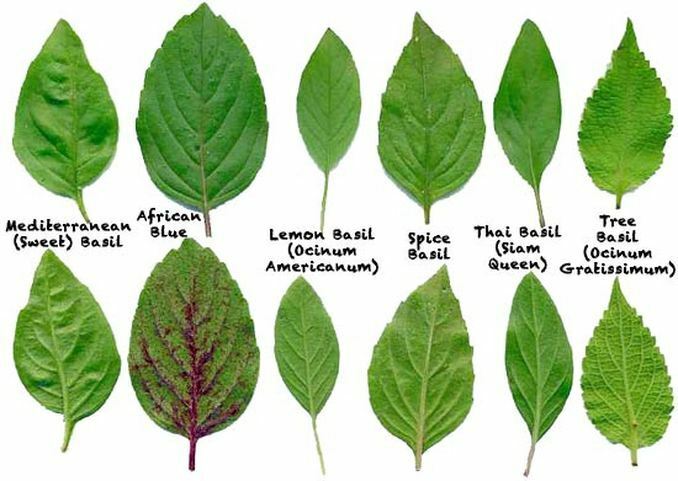 To my knowledge, there are many varieties of basil. And what better way to initiate one’s research than by…. consulting Wikipedia. Wikipedia is a multilingual, web-based, free-content encyclopedia project founded by Jimmy Wales and supported by the Wikimedia Foundation, a tax-exempt non-profit organization with offices in San Francisco, California, USA. Based on a model of openly editable content, Wikipedia exists through a collaborative effort of volunteers and paid staff. Wikipedia contains more than 35 million volunteer-authored articles in over 288 languages, and is visited by more than 439 million people every month, making it one of the most popular sites in the world. The Wikipedia community, so it states, has always felt that advertising would have a major effect on their ability to stay neutral and would weaken the readers’ overall confidence in the articles they are reading. Ever so often therefore, Wikipedia asks for donations. There are those who give but there are also dissident voices claiming Wikipedia has abundant cash or that Wikipedia’s potential to generate revenue hasn’t been sufficiently tapped. What, some say, if somebody else comes along, replicates the Wikipedia model, does better and makes a killing in doing so? Whatever the answer may be, in my basil search, I was surprised to find Wikipedia ask, not for a donation this time, but for support. And here’s why. On June 16th, the EU legal affairs committee, voting on Julia Reda’s report on the review of EU copyright rule failed to agree and compromise on the right to publish pictures of public buildings and artworks. In some countries such publications require a permission from the architect or rightholder of the public artwork, while the majority of EU member states enjoys the so-called Freedom of Panorama, which allows anyone to publish photographs, documentary films and other works depicting public places without restriction. Mrs Reda, who I have never heard of before and do neither endorse nor oppose, proposed to call on the EU legislator to ensure that the use of photographs, video footage or other images of works which are permanently located in public places would be permitted. The amendment, adopted in committee with the votes of European’s people’s party, socialists and Jean-Marie Cavada (Liberals) considers that the commercial use of photographs, video footage or other images of works which are permanently located in physical, public places should always be subject to prior authorization from the authors or any proxy acting for them. 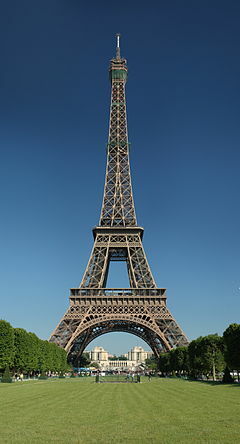 The Copyright in the structure of the Eiffel Tower, built in 1889 has long expired. It therefore belongs to the public domain. Its night time illuminations however are considered an artistic work. 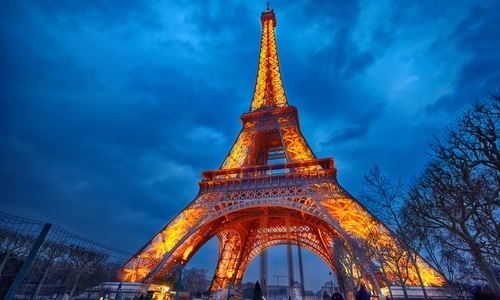 If I wish to reproduce and image of the Eiffel Tower at night, I need permission. Belgium’s Atomium building, built in 1958 is protected by copyright which will expire in 2076. Pictures of the Atomium need authorization. A model of the Atomium at Minimundus in Austria. The model can be shown as Austria has Freedom of Panorama. This map shows whether EU countries have Freedom of Panorama under their national copyright laws. 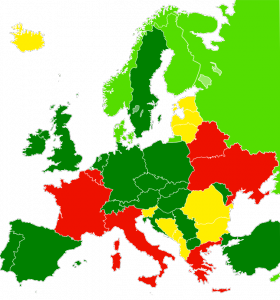 Countries marked in green already have Freedom of Panorama (light green: for buildings only), yellow countries allow the publication of pictures of public artworks only for non-commercial purposes, red ones have no Freedom of Panorama at all. Mr. Cavada’s proposal that was adopted in committee would turn all the green countries yellow or red. According to his proposal, any Freedom of Panorama laws that are not restricted to non-commercial use should be removed, to protect, so he says in his blog, ‘créateurs’ (authors, designers, architects,…) and consumers. 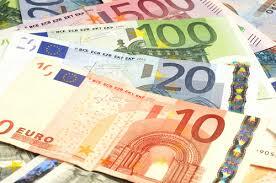 The distinction between commercial and non-commercial is complicated. If you upload a picture to Facebook, you don’t make any money from that, but you do agree to the terms of Facebook, which state that you are giving permission to Facebook to use your picture commercially. So it becomes your responsibility to find out whether the building is still protected by copyright and if not, you have to take the necessary steps to get permission before you can legally upload your holiday pictures to Facebook. Furthermore, the restriction of Freedom of Panorama will greatly complicate the business of journalists, professional photographers or documentary filmmakers, whose activities are clearly commercial, but who until now can rely upon the public space as a free resource. This brings me to Wikipedia. The Wikimedia Foundation that runs Wikipedia is itself not aimed at making a profit. Yet, if the proposal by the European Parliament were adopted into law, all pictures of public buildings and permanent artworks depicting a work whose author has not been dead for 70 years would have to be deleted from Wikipedia. The cultural shift caused by the Internet has apparently not been recognized by the ‘éminences grises’ of the EU. Rather, they prefer to legislate, ad vitam aeternam if need be, oblivious of both our needs and technological possibilities. As for the basil, en.wikipedia.org/wiki/Basil. As for Wikipedia’s request for support, you can follow their link. 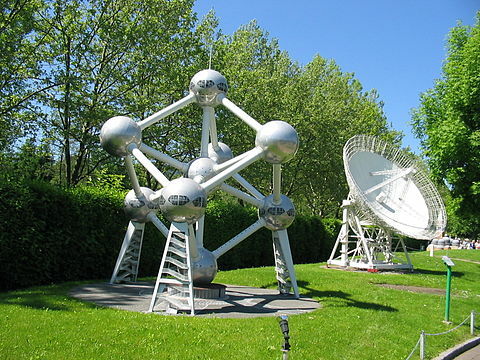 Posted on 2 July 2015 by MrsCalvo	This entry was posted in Popular Culture and Entertainment and tagged #saveFoP, Atomium, Basil, Copyright, Coriander, Eiffel Tower, Freedom of Panorama, Jean-Marie Cavada, Julia Reda, L'orto di Nemo, Nemo, Wikipedia. Bookmark the permalink.